A set of new photographs is claimed to depict the entire display assembly for the 'iPhone 7s,' with the images appearing to show the front glass, the rear side of the display panel, and the flex cables of the component, revealing relatively few changes will be made to the refreshed iPhone's appearance. The first of the three images, published by SlashLeaks, gives what is likely to be the front panel of the "iPhone 7s," which at first glance is extremely similar to the iPhone 7's front side. Just as with the iPhone 7, there are the usual earpiece, camera, and sensor holes at the top in their customary locations, with a bezel appearing all around the display painted in white. At the bottom of the panel is a round hole for the combined Home button and Touch ID fingerprint reader, with a high probability Apple will reuse the solid-state Home button found in the iPhone 7. To the rear, the back of the display panel is visible, while to the bottom are two flex cables used to connect the display assembly to the main iPhone body. The images as a whole appear to confirm that the "iPhone 7s" will retain the appearance and functionality of the iPhone 7, rather than introducing new concepts as with the "iPhone 8." The lack of expected major upgrades to the "iPhone 7s" also means there is a slight chance that the photos are not of a component for the incoming iPhone. Though more probable as a genuine component, it is entirely plausible that the photographed panel is one used for the existing iPhone 7, though there is also the chance that Apple is using the same display assembly for both devices. Earlier on Thursday, a leak claimed to show logic boards for the "iPhone 7s," said to have markings that matched the back of a supposed "A11" processor. Rumored to launch in mid-September alongside the "iPhone 8," the "iPhone 7s" and "iPhone 7s Plus" are thought to be in full production. Based on current supply chain rumors, it is probable that there will be ample stocks of the "iPhone 7s" at launch, but with heavily limited supplies of the "iPhone 8" expected until the end of the year. Looks exactly like the iPhone6. A phone that is 4 generations behind. How can Apple sell these phones for $769 and $650, and it has a 4 year old body design? Yeah. The 3GS looks exactly like the 3G! Nobody will ever buy it. Nope. Wrong aspect ratio. I overlaid an outline of the aspect ratio of the 7 Plus. Fits like a glove. I used Illustrator to verify this based on released specs of the 7 Plus (6 Plus is a millimeter or so different). According to some, the iPhone 8 will be a slightly smaller phone but the aspect ratio is virtually the same as the 7 Plus. 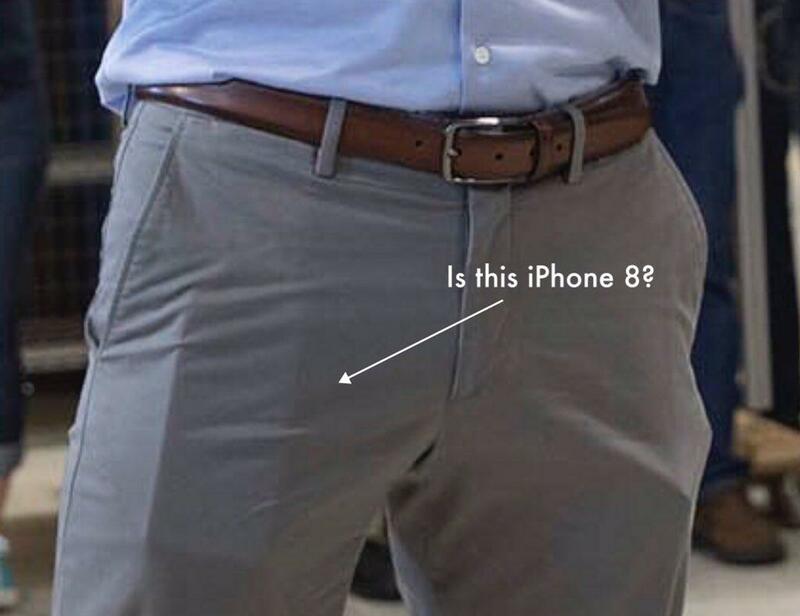 Unless you know the exact dimensions of something else in the photo at the same focal distance it is impossible to tell if it is an iPhone 7 Plus or an 8. I get the sarcasm in your remarks but when something works, it works. No need to make sweeping changes to the form factor just for the sake of change. I'd think new features and capabilities are more important to most users. The phone is 90% screen. When they eliminate the home button at some point, it will be 98% screen. How much can the front of the phone actually be redesigned?! The "8" will likely show where they're heading for the next few years and the only thing that could possibly change is the rear. We will see. 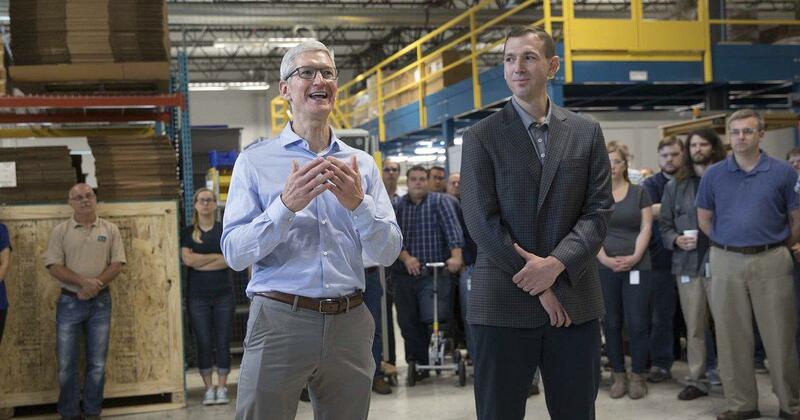 One thing I'm pretty sure of is that Tim would probably not take an unreleased phone out in public. because it's about much more than just the exterior of the device? VW sold the Type 2 in the exact same body design for 56 years and demand has only risen since it ended.